Hello, I am new member and use qBittorent 4.1.3 over VPN on Win 10. MMA-Torrents tracker status in "Not working", and there is no message. However many other public trackers work, all of them public. I already disabled Windows Firewall, also changed https to http, to no avail. Any suggestions, please? ..::UFC Fight Night 143 - Cejudo vs. Dillashaw Competition Winner::..
To start with we are NOT a public tracker, so comparing functionality with public trackers is wrong. We are a private tracker and you need to be registered to download any torrents. Try with and without the VPN to make sure it is not the culprit. I suggest you use uTorrent 2.2.1 as it always works for all members so far. Are you using a VPN connection with port forwarding? Did you set qBittorent to use the port that was assigned to you when your VPN connection with port forwarding connected? When you go to your "My Account" page, and you click the port checker and insert the port you have qBittorrent using, does it say that it is open? 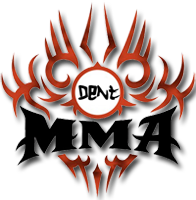 ..::UFC 234 - Adesanya vs. Silva Competition Winner::.. Thank you both for the responses! I followed both suggestions. First, configured port forwarding in PureVPN and confirmed that port shows open in Port Checker. But qBittorrent 4.1.3 was still "Not working". Secondly, installed mTorrent 2.2.1 and it still didn't work with message in tracker window: "Element not found". Finally, changed "https" to "http" in mTorrent 2.2.1 and downloads started to work. Thanks again for the swift resolution! From what you say it sounds like the VPN or your computer/connection etc might have an issue with the SSL certificate. Glad changing to http worked!